The Precious Jewel is an ancient Bön teaching of Dzogchen, according to the A-Tri Transmission, one of three main Dzogchen Lineages of Bön . This teaching is from the original text of Yor Me A-Tri. This chapter of the Precious Jewel has eight sessions of Dzogchen teachings. This will be an ongoing teaching for the next coming years until we complete the eight sessions. This teaching is perfect for anyone genuinely seeking to learn Dzogchen and to develop a true deep understanding of Dzogchen and its practice. This session of the Precious Jewel has three main categories: The Basic, Actual and Conclusion. First Part: Guides us to understand the importance of devotion and direct experiential contact to the Master Teacher. Receiving blessings for spiritual awaking and for building a good, solid foundation to further develop your meditation and inner peace of mind and body. Second Part: Will teach us how our relative mind can learn to concentrate and to focus deeply so that we may experience calm abiding. This second part will also introduce our natural state of mind and the reality of truth of all existing phenomenon according to Dzogchen. Kyong Sum- To remain in meditation continually for any time, any where, in any circumstances . Of course, this teaching of the Precious Jewel mainly focuses on teaching us to deepen our understanding and to give us a clear understanding on the Dzogchen’s view of Tregchod and Thodal and its meditation. Bönpos regard this teaching this teaching of the Precious Jewel with high regards, and it is valued as Dzogchen, the great perfection. 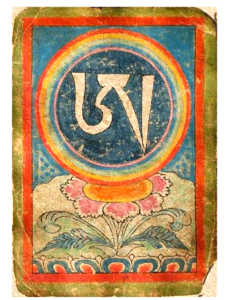 The author of this original text is Tsen Dhen Yorpo Mepal (1134- 1168), the fifth grand master of Yeru Wensakha, a main and central Monastic Institution of the true learning of Bön from all three parts of Tibet. During this teaching, Latri Nyima Dakpa Rinpoche, will lead our meditation and also clarify and answer any questions related to this practice. This teaching is being held at Eleanor Caponigro’s amazing Santa Fe Home. Her address will be given on registration. We have stayed at “The Lodge at Santa Fe” 505-992-5800. It’s clean and convenient, has a restaurant, and is reasonably priced. Friday, October 18, 2019 ~ 7:00 p.m. – 9:00 p.m.
Saturday October 19, 2019 ~ 9:00 a.m. – 5:00 p.m.
Sunday, October 20, 2019 ~ 9:00 a.m. – 5:00 p.m.
Fees: Space is limited – early registration is strongly suggested.